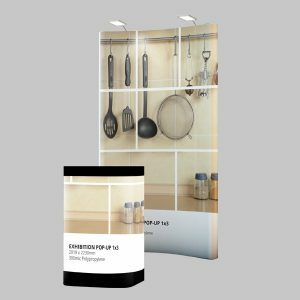 Our 3×3 curved one sided pop-up system includes 1 x easy to assemble aluminium frame, 5 x graphic panels printed & ready to be mounted to the frame by magnetic strips, 1 x heavy-duty carry case with wooden table top and 2 x halogen lamps. 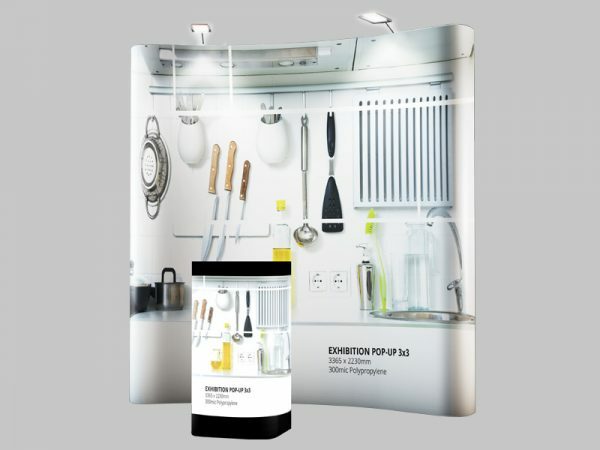 For a custom-printed wrap to convert your case into a podium stand, please add our podium graphic (sold separately). 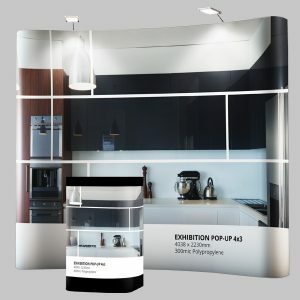 Our 1×3 curved one sided pop-up system includes 1 x easy to assemble aluminium frame, 3 x graphic panels printed & ready to be mounted to the frame by magnetic strips, 1 x heavy-duty carry case with wooden table top and 2 x halogen lamps. 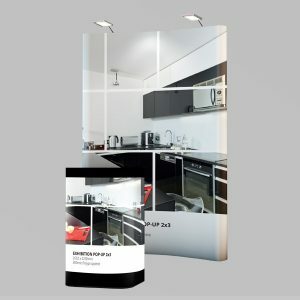 For a custom-printed wrap to convert your case into a podium stand, please add our podium graphic (sold separately).